This baked eggs recipe from the Galvin Brothers is a true breakfast winner. 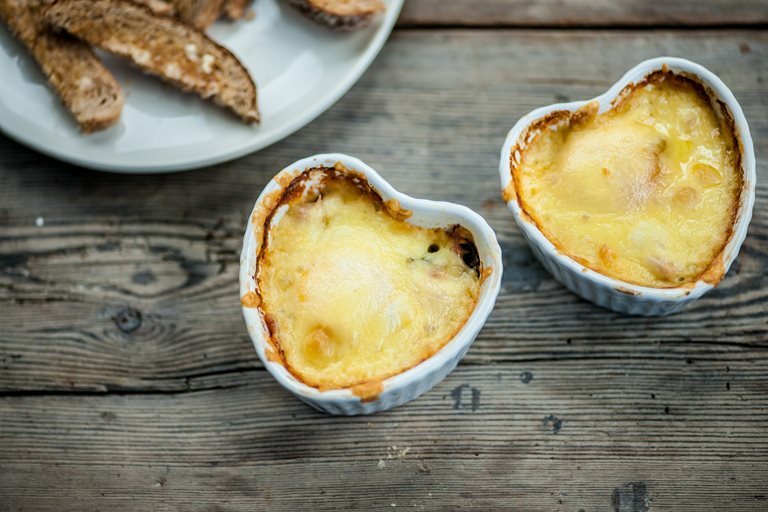 Ramekins filled with egg, cherry tomatoes and ham make a great option for brunch and will be particularly enjoyed by younger kids, who can help assemble the pots before they go in the oven. Served with brown bread soldiers, they are a step up from your regular boiled eggs and take less than a half-hour to make.